Cambridge University E-Books NLU, Delhi Library subscribes a bunch of 464 eBooks on law and allied subjects. The books have been subscribed on perpetual basis. 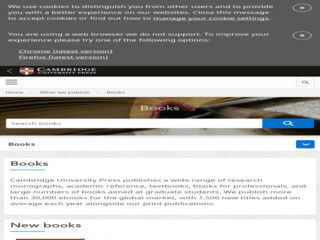 These books can be accessed with IP Ranges of the University.